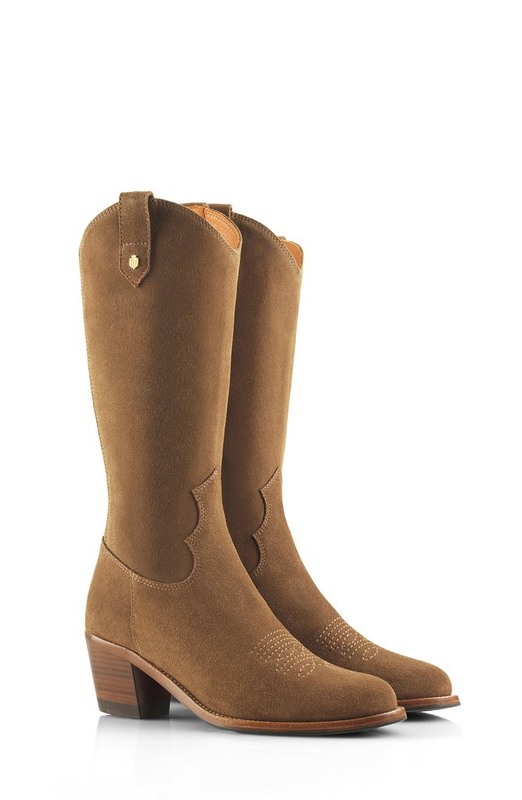 Rock the Western look with the new ‘Rockinghams’ from Fairfax & Favor. Mid-calf boots handcrafted from beautifully soft suede, with a subtle Cuban heel and decorative hand-stitched details. They are stunning! Team with a mini Windsor bag and you’re all set for an Indian summer. The eagerly anticipated wide-fit Fairfax & Favor Explorer and Regina tall boots have also just arrived.